Wow, what a place. Why do I live in this godforsaken city of New York again? Everything in Japan just made sense. Well, not everything. But life in general. There is a natural flow that is nothing like the cities over here in the states. But I digress... we're supposed to be talking about fish, right? Oh, not that kind of fish? Thanks to Vine Connections and some hard work, I was mostly in Japan to visit sake brewers, like Ozaki-San, and learn about how they do things. 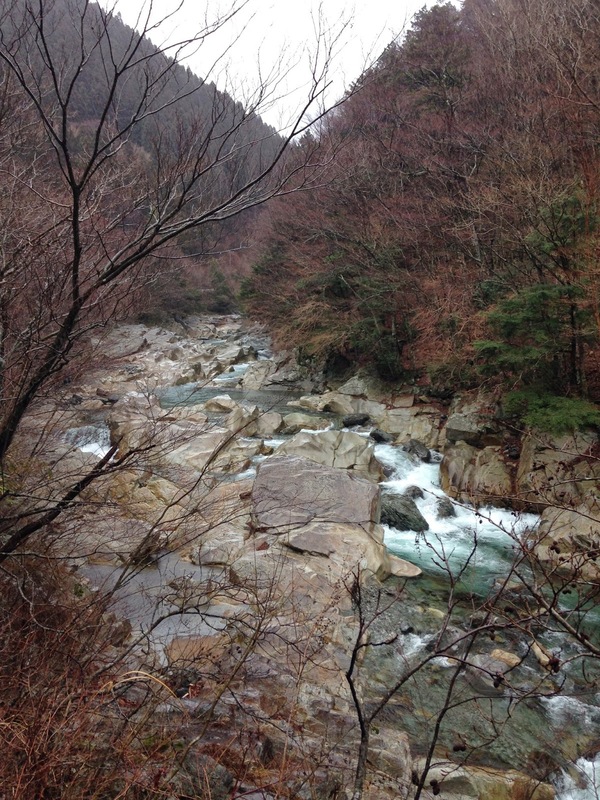 He took us to an amazing mountain Inn, or Ryokan, with Onsen, or natural hot-springs. What an experience. While we were on our trip, we ate the most amazing foods and visited some incredible restaurants. The detail in the presentation, the beauty of the bowls, it was all a bit overwhelming. After consuming more than enough sake to kill a small horse, I met up with Go Ishii in Kyoto, who was taught by Masami Sakakibara. 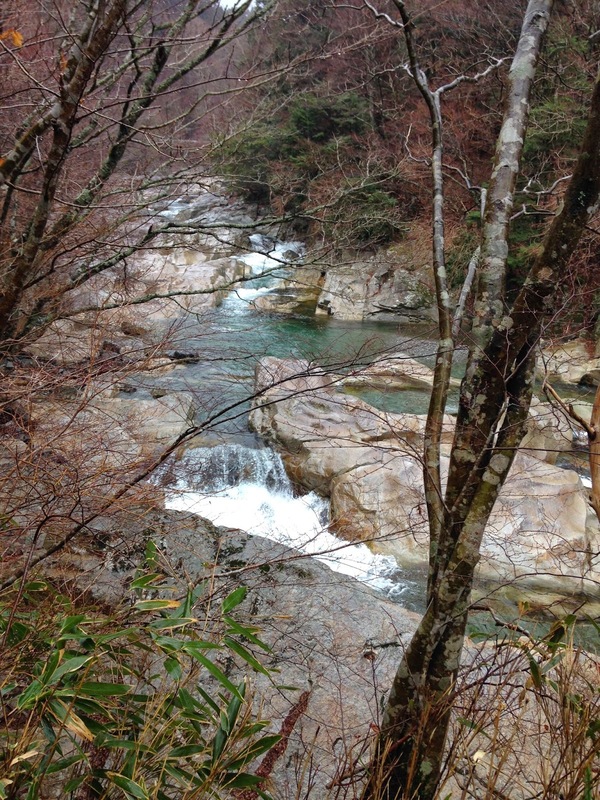 He had put an amazing plan together to fish the Tenkawa river in Nara prefecture for some Amago trout. Go had an absolutely top-notch tempura meal scheduled to show me what Kyoto cuisine has to offer. It was a chef's table-style meal, and couldn't have been more perfect. The shiso-leaf wrapped trout was probably my favorite. I can't thank him enough for this amazing meal. I was so stuffed I couldn't even finish all my food, and that's rare for me! We left Kyoto with very full stomachs, ready to get to our campsite in Tenkawa. I was so tired and a little hungover because the last night of the work trip had been a celebration of epic proportions. I was apprehensive about the drive into the mountains, but knowing it wouldn't be that long, I was excited to see what this part of Japan looked like. We left the highway and started winding through mountain towns. Apparently we took the long route, but I didn't even notice. I learned that trees planted after the war look like this, because they had to clear cut large sections of forest to build everything when they ran out of metal and other supplies. I was fading fast, and the road looked the way I felt. Luckily a few minutes after this crashing feeling crept over me, we were there! Yuki-San and Ajari-San had the grill ready to go and I immediately caught my second wind. We had Sazai (sea snails) and Ise Ebi (Japanese Lobster) on the grill, along with a Nabe (stew) with vegetables, fried tofu and pork. Of course, we had way too much wine and sake to accompany dinner with, and we drank most of it if not all of it by trip's end. I absolutely loved the setup at the campsite. Each cabin could sleep 6-8 comfortably, possibly more (on the floor) and was set up for cooking. There was a covered porch, optional rain-curtain, and a large grill. Add the two portable pack and carry grills brought by the other guys, and we had a really luxury setup! It was going to be cold at night, so I had an emergency blanket under my thermarest neo-air, and my western moutaineering caribou MF sleeping bag. This is my preferred setup when backpacking as well. Woke up in the AM to a daytime view of the campsite, a foggy view of the mountains and the threat of rain. Checked out the river and couldn't believe the color. This was fresh water?! Sweet. I got some casting lessons in the parking lot, and tried out a few rods. Some were Japanese, others made in China, and an Oni Rod. I settled on the Daiwa Rinfu and absolutely loved it. Why not fish a rod that size if I could?? After Kura-san corrected my casting as best as possible, we headed to the office of the local fishing collective to buy our fishing tickets. In Japan, the rivers are not gov't regulated for fishing - each river is controlled and monitored by a local fishing collective. Its one of the few sources of income in these remote mountain towns. On the way to the river we passed a few isolated homes, a few decaying cabins and a lot of beautiful forest. The roads were windy and narrow, and we soon were above the dams and into some beautiful water. 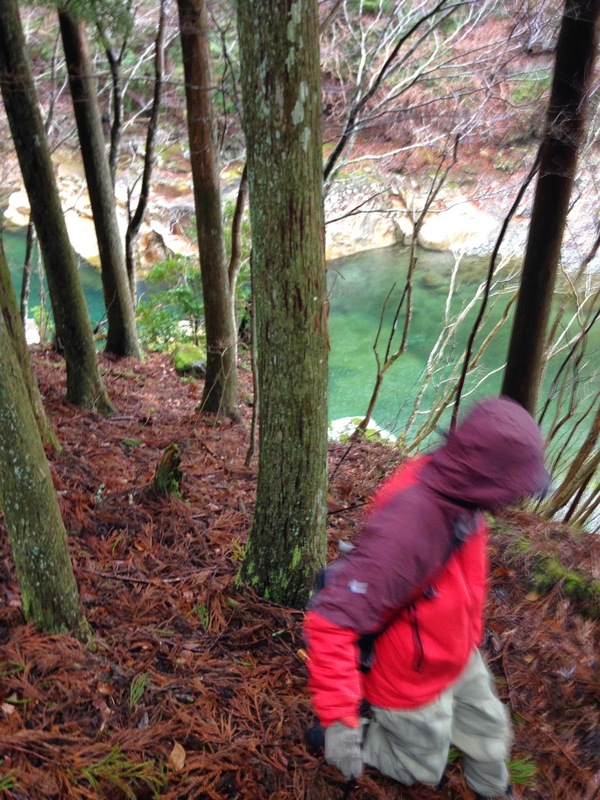 Kura-San lead the way down to the water and Go Ishii warned me to cross carefully, the dark rocks being crazy slippery and covered with perma-slime. I followed his instructions, stepping in the light patches of sand or less-slippery rock. For some reason, it seemed like the hardest river crossing of my life! I felt like I was in slow motion. Maybe it was the unfamiliar river, the new place, a different feeling on the bottom of the stream... whatever it was, I needed to take a deep breath and take it all in. Go showed me the ropes on the river and suggested where to cast. Otani-San and Kura-San wandered off to fish their own sections of river. There weren't any signs of fish where we were so we decided to move further up river. Good call. The pocket water began just above the rouch water you see in the photo above. I watched kura-san fish, and he was into some fish right away. In very typical western fly-fishing fashion, I asked what fly he was using, and switched to the closest thing I had, which was basically a killer kebari style fly that I had tied last minute at home. Kura-San landed another fish while I tied on my fly. I fished above him and got a hit almost right away but failed to set the hook. I saw a shadow dart up and knew I had ruined that pool for the moment. We moved up the stream. Go and Otani-San were somewhere behind us, but at this point it was just us, ready to hook some Amago! 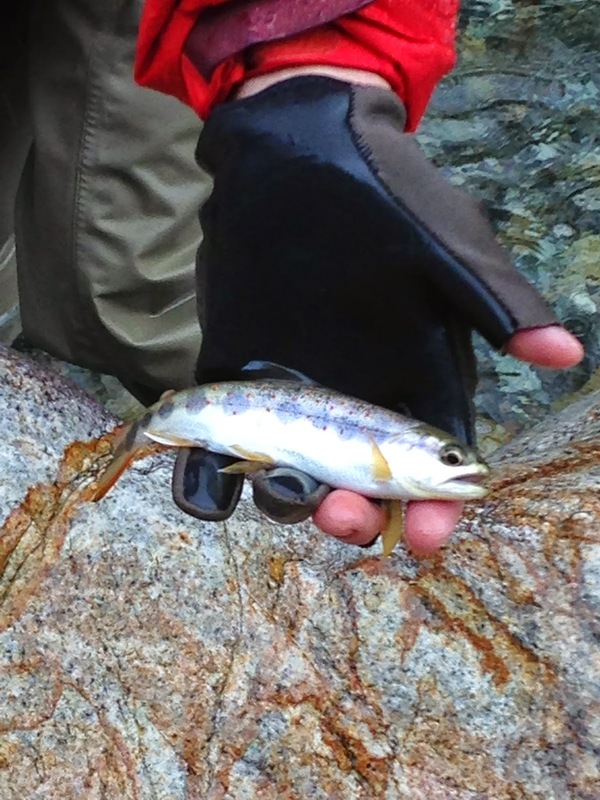 I climbed around on the rocks above, set myself up to cast to the Amago I had my eye on, and lobbed my first "perfect" cast - delivering the fly right in ahead of the fish I had seen. BOOM! I had a hit. Fish on. I fought it for a moment, but the fish launched into some crazy barrel-rolls and worked itself off the hook. ARGH. I was frustrated a bit about not landing the fish, but also really ecstatic that my cast, presentation and a fly I tied in the states did the trick. At this point, it was starting to pour, and everyone was cold and a little bit wet. We put our rods away and Go snapped a quick photo. To the left is Otani-san, and to the right is Kura-San. It was time to head back for lunch. Speaking of which, it also happens to be time for me to hit the sack. So I'll make this a two-part post, and I'll update it with part 2 in the next few days.